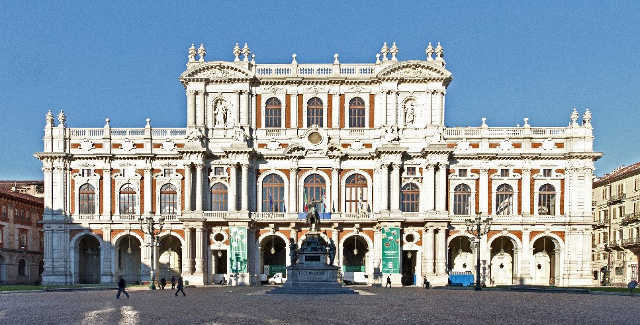 This museum is located in Palazzo Carignano, at Via Accademia delle Scienze, 5, just south of Piazza Castello. It's collections record the unification of Italy in the nineteenth century. 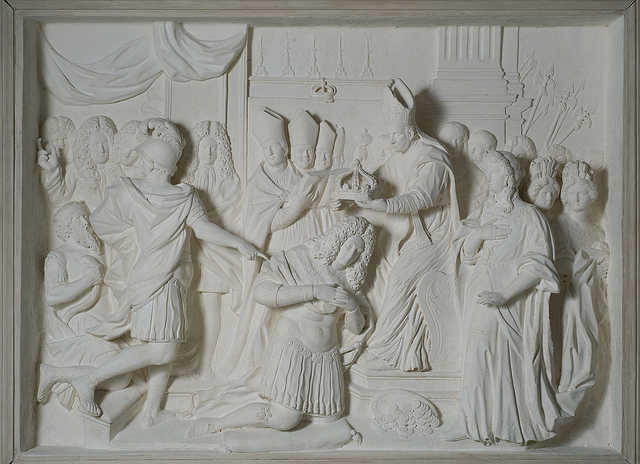 Also in Room 3 there is a plaster cast copy of Giovanni Battista Ragusa's bas relief of the 1713 coronation of Victor Amadeus II as King of Sicily.2 His wife, Anne Marie d'Orléans can be seen standing on the right. In Room 4 there are portraits of four Savoy princes. 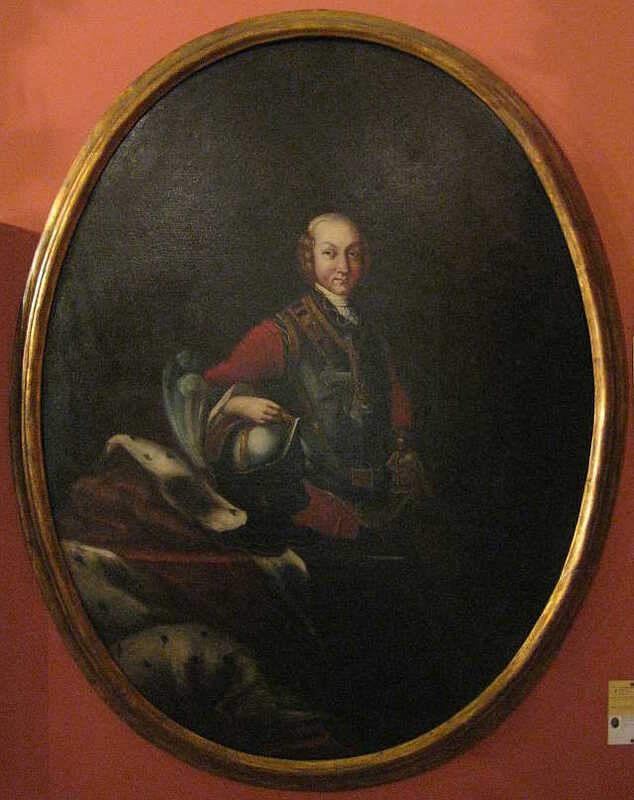 To the left of the entrance is an oval portrait of King Charles IV (King Charles Emanuel IV of Sardinia). 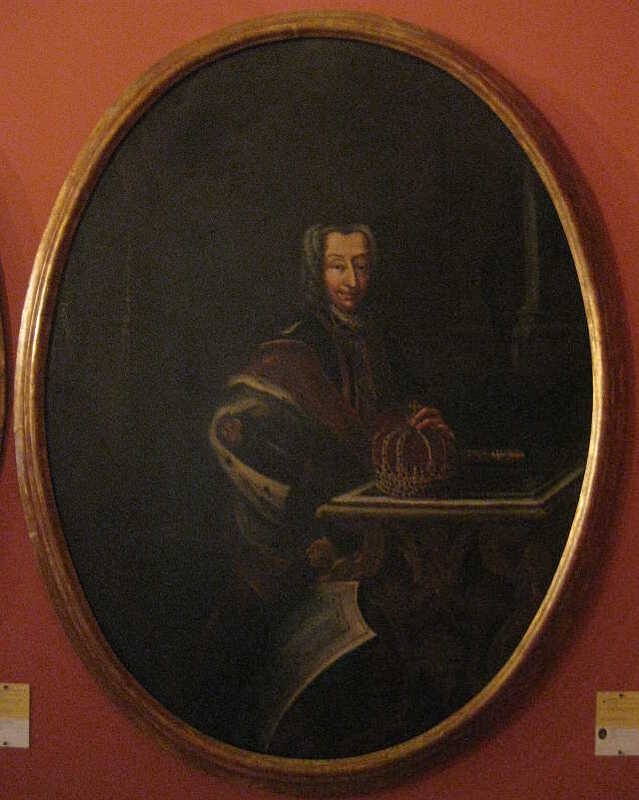 Above the portrait of King Charles IV is an oval portrait of his father King Victor Amadeus III of Sardinia. On the opposite wall are large oval portraits of King Charles Emanuel III of Sardinia, son of Anne Marie d'Orléans, as well as of her husband, King Victor Amadeus II of Sardinia. In Room 5 there is an oil portrait of Queen Louise, wife of King Charles III. 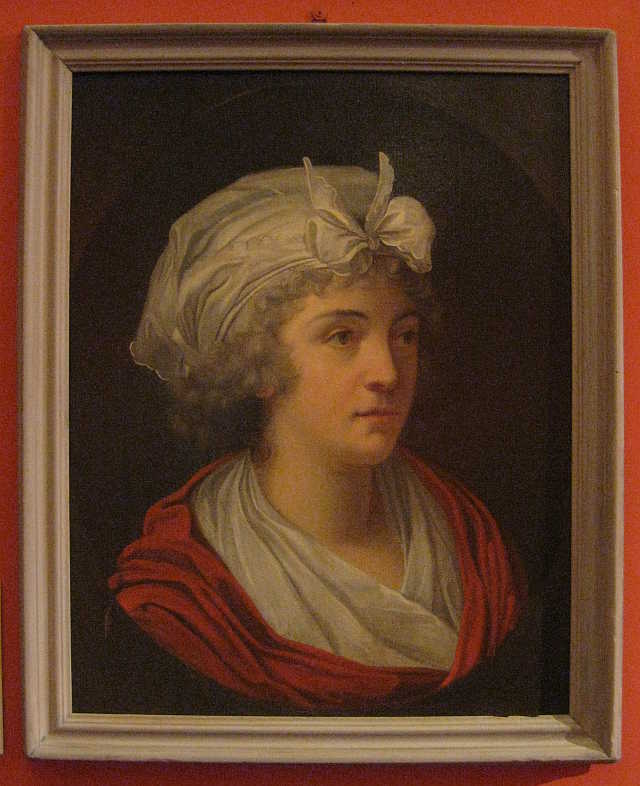 It is a copy of the head of Queen Louise from the double-portrait of her and Count Vittorio Alfieri by François-Xavier Fabre now in the Museo Civico d'Arte Antica in Turin. 3 It was probably painted by Queen Louise herself. 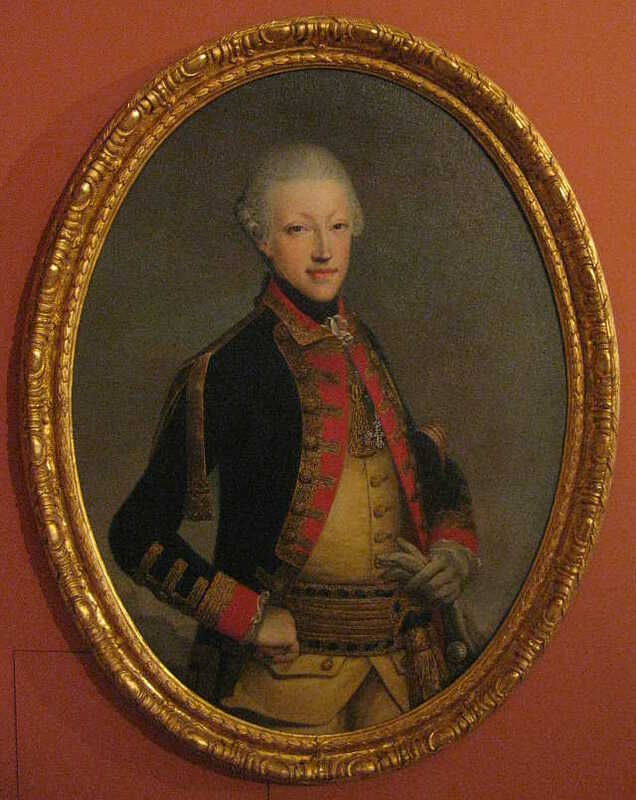 Next to the portrait of Queen Louise is an oil portrait of her companion Count Vittorio Alfieri. 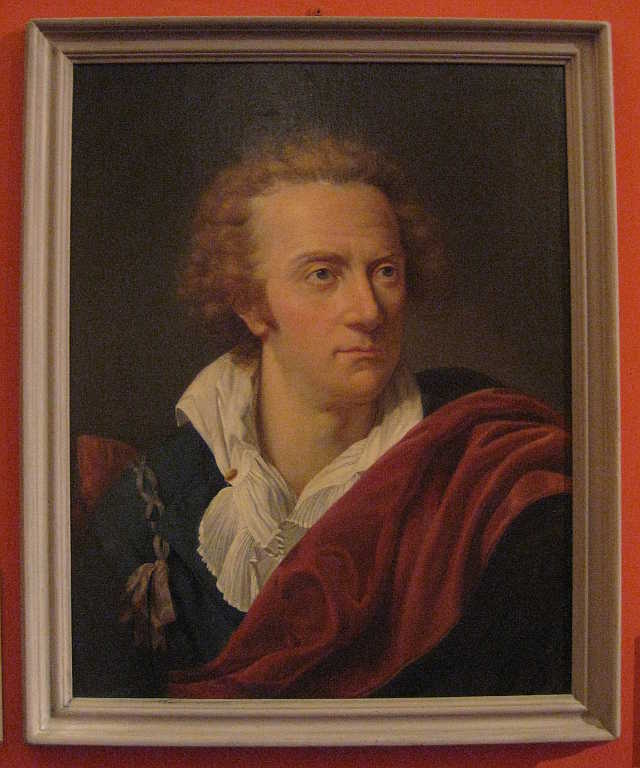 It is a copy of the head from Fabre's 1793 portrait of Count Vittorio Alfieri now in the Uffizi in Florence. 4 This copy was probably painted by Queen Louise. 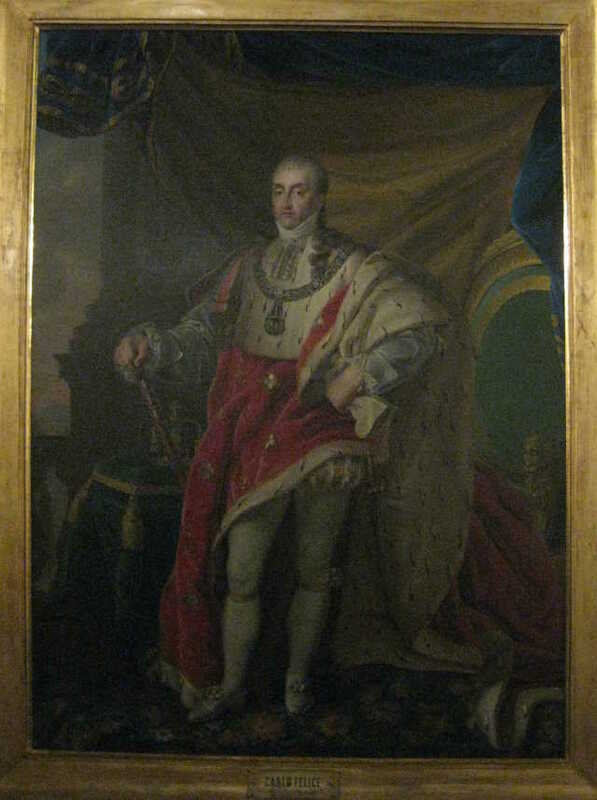 The museum also owns a copy of Fabre's 1797 portrait of Count Vittorio Alfieri now in the Musée Fabre in Montpellier (not currently on display). 5 This copy was probably painted by Queen Louise. Room 8 recounts the history of the restoration of the House of Savoy after the fall of Napoleon Bonaparte. 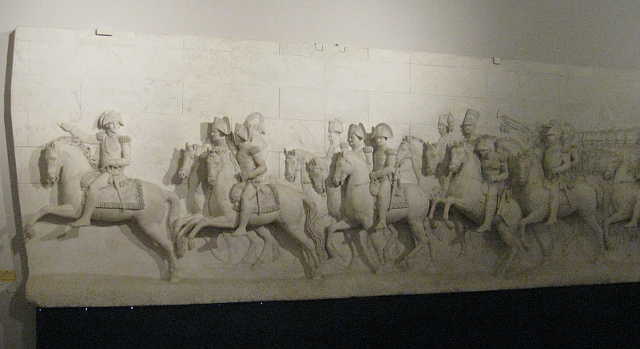 On the far wall is a high relief sculpture in marble of the triumphant entry of King Victor (King Victor Emanuel I of Sardinia) into Turin in 1814. 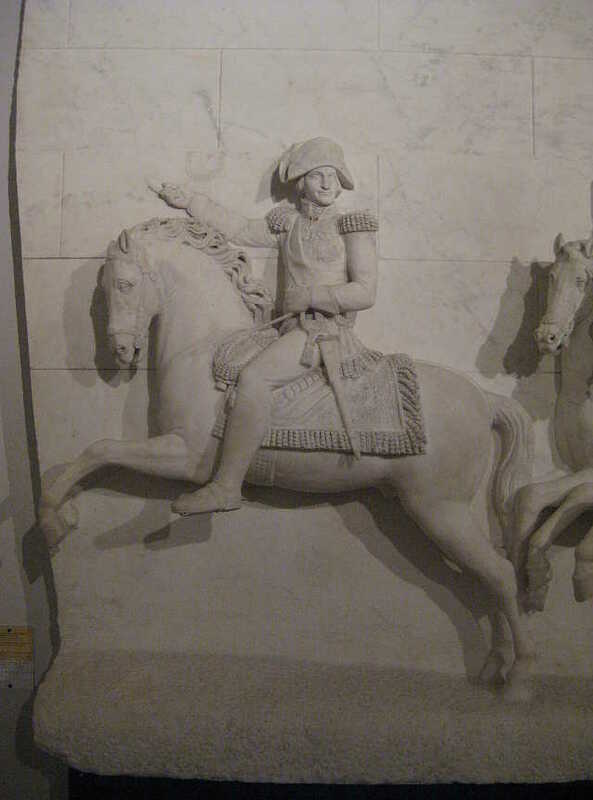 The sculpture, formerly in the staircase at the Castello di Moncalieri, was carved by Giacomo Spalla between 1823 and 1831.6 Victor is shown on horseback leading his troops into Turin; there is a work with a similar subject-matter, but with a different composition, in the Palazzo di Citta. On the wall to the left in Room 8 is an oil portrait of King Victor by Luigi Bernero. 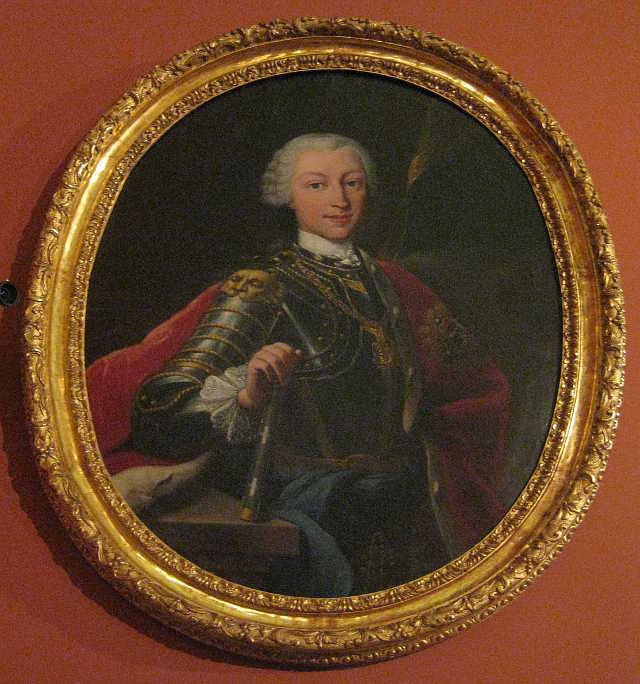 Next to the portrait of King Victor is one of his younger brother, King Charles Felix of Sardinia, also by Luigi Bernero. 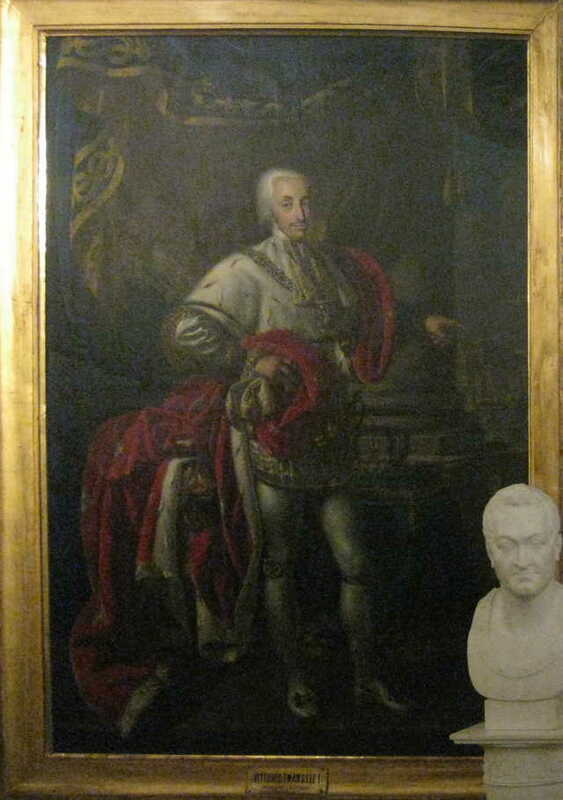 On the wall facing the relief sculpture of King Victor entering Turin is an oil portrait by Luigi Bernero of Queen Maria Theresa, wife of King Victor. 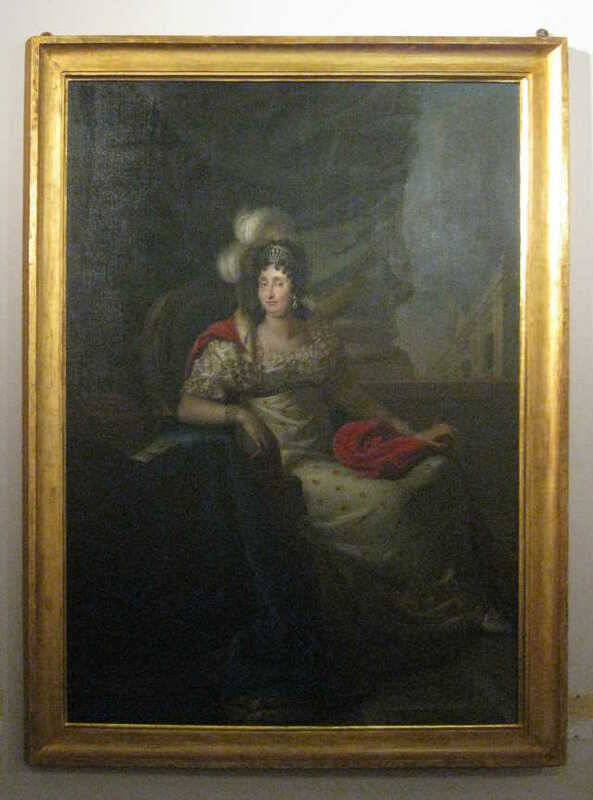 Next to the portrait of Queen Maria Theresa is an oil portrait by Luigi Bernero of her sister-in-law, Queen Maria Christina of Sardinia, wife of King Charles Felix. In a case in the middle of the room is a red wax seal of King Victor in a gilt silver case. The Gabinetto delle Stampe of the museum contains a number of engravings of members of the Royal Family. 1 The original sculpture is in the Palazzo dell'Università, together with a matching sculpture of King Charles Emanuel III of Sardinia. 2 The original bas-relief is on the left side of the west portico of the Cathedral of Palermo. 3 Laure Pellicier and Michel Hilaire, François-Xavier Fabre (1766-1837) de Florence à Montpellier (Montpellier: Musée Fabre, 2008), 184. 4 Pellicier and Hilaire, 148. 5 Pellicier and Hilaire, 180. 6 Daniele Pescarmona, "Giacomo Spalla: I due monumenti equestri a Vittorio Emeanuel I e suoi rapporti con Ferdinando Bonsignore ed Amedeo Lavy", Bollettino d'arte 62 (gennaio-giugno 1976): 45-52. Giacomo Spalla was born in Turin in 1776, and died in the same city in 1834. 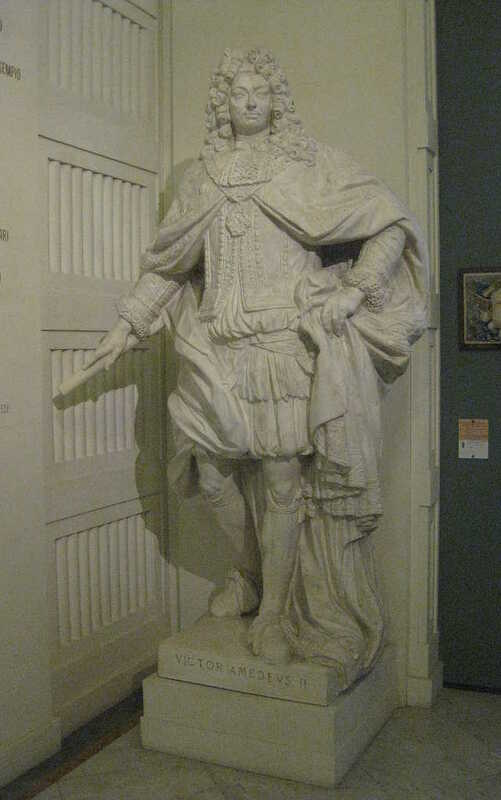 To him is usually attributed a bust of King Victor now in the Galleria Sabauda. He is perhaps best known for his Napoleonic bas-reliefs. Image 1 (Museo Nazionale del Risorgimento Italiano). Image 2 (King Victor Amadeus II of Sardinia, by Collino): © Noel S. McFerran 2015. Image 3 (Coronation of Victor Amadeus as King of Sicily): © Museo Nazionale del Risorgimento Italiano di Torino. Image 4 (King Charles IV): © Noel S. McFerran 2015. Image 5 (King Victor Amadeus III of Sardinia): © Noel S. McFerran 2015. Image 6 (King Charles Emanuel III of Sardinia): © Noel S. McFerran 2015. Image 7 (King Victor Amadeus II of Sardinia, oil): © Noel S. McFerran 2015. Image 8 (Queen Louise, self-portrait): © Noel S. McFerran 2015. Image 9 (Count Vittorio Alfieri, by Queen Louise): © Noel S. McFerran 2015. Image 10 (King Victor entering Turin): © Noel S. McFerran 2015. Image 11 (King Victor entering Turin, close-up): © Noel S. McFerran 2015. Image 12 (King Victor, by Bernero): © Noel S. McFerran 2015. Image 13 (King Charles Felix of Sardinia, by Bernero): © Noel S. McFerran 2015. Image 14 (Queen Maria Theresa, by Bernero): © Noel S. McFerran 2015. This page is maintained by Noel S. McFerran (noel.mcferran@rogers.com) and was last updated September 15, 2015. © Noel S. McFerran 2004-2015.